It’s very rare for me to write anything about EVE Online anymore – partly due to the fact I’m less active in EVE nowadays than i’d want, but the recent changes to the EULA, the ban of IWantISK and the knock-on effect this will have on media sites across New Eden falls into the scope of my real life profession. I am a digital journalist for a newspaper. I frequently work with our advertising on what works, what doesn’t and what is the best way to bring in additional money for the site. The lack of sponsorship will force sites like this one to look elsewhere for extra income and I’m here to share my thoughts on where this could, and couldn’t, come from. If you look at the traditional publishing model for newspaper websites the majority are reliant upon advertising revenue feeding into the paper product to sustain both their digital and traditional formats. Most of these publications supplement their income in one way or other through either standard advertising, surveys or paywalls. EVE media sites have a highly targeted audience – something which massively appeals to advertisers – and with the right deal in place could be earning in excess of £15-£20 per 1000 impressions. The problem here lies in the fact they just wouldn’t have the traffic volume to generate the income they would need to be self-sufficient. Sites like YouTube and Twitch can also have their content monetised. Based on personal experience the income from this , especially on YouTube, can be hit and miss. If you fail to upload a new video or if people stop watching your content, your income drops. No doubt we’ve all seen a Google Consumer Survey – those annoying multiple choice questions you have to answer before being able to read the full article. The website I work for uses them. They’re frustrating, they increase complains, but they do bring in the cash to help keep websites afloat. But for EVE media sites this again wouldn’t work. The majority of EVE players are tech savvy, they will find a way to block or avoid the GCS. Failing that, they will just go elsewhere. There are two possible ways of looking at paywalls. The first and most commonly used by newspaper is the article based function. This effectively allows people to view a set number of stories per day or month. Any more above and beyond that point would require people to pay. This could be potentially be done using purely ISK as a sign up charge, but this could potentially breach the revised EULA. It would also require admin work to monitor who has paid and a sign-up access system. The other option is a paid for Android/iPhone App. Real world currency would be used to purchase an app based version of the website, pulling together all the existing and future articles, podcasts, videos and features. To encourage uptake, preview versions of articles could be posted on the website, with only the fully fledged versions available on the app. The big issue with all the above for sites based on New Eden is the blurring of boundaries between RL currency and the conversion of ISK – something no sensible website will want to cross. Realistically, for me, there’s only two real solutions for EVE media sites. There are plenty of very wealthy players within the game. Those that have either benefited from the now banned sites, that have great skill in trading or those that got ISK by just purely playing the game for a long time. For me it’s time for some of these players that have amassed an incredible wealth to give back to the community. For reasons of balance the players sponsoring the sites must be revealed and all ISK donated should be done with no strings attached. To say I expect this to be a controversial idea is a massive understatement. In the past CCP have courted controversy with their interaction with external player groups. A prime example of this would be the gifting of Ishukone Scorpions to SOMER Blink – which caused uproar amongst the player base when this was leaked/revealed. 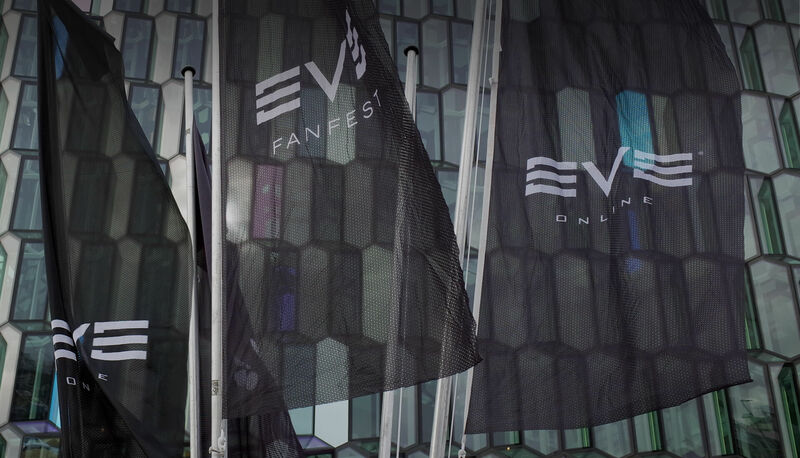 The loss of EVE-Bet, a legitimate group which operated within the bounds of the current EULA, has left a niche which needs to be filled – and why not have CCP fill it themselves. They could even find a way of bringing the EVE-Bet team on board officially. The profits from this CCP-backed venture, which are likely to be in the tens of trillions (almost certainly outstripping those made by EVE-Bet) would be mainly fed directly into the CCP’s Plex 4 Good and into helping to run Live Events. The rest could be used by CCP to sponsor external sites, like Crossing Zebras or like EN:24, which would be telling the stories of players to the world, act as a source of advertising for the game, as well as holding CCP accountable when they release new game features. Due to the volume of ISK moving between CCP and the media groups there would obviously need to be some form of traceability and accountability to prevent any form of RMT, but i trust CCP’s monitoring tools to achieve those goals. The future for Eve media is probably at its most fragile point. Decisions over the next few weeks will either make or break each site. With the upcoming changes to clone states and the potential volume of new players it could bring to the game, CCP needs to recognise that the in-game, player-ran media is a vital cog to the machine that is New Eden. And one that must be preserved.